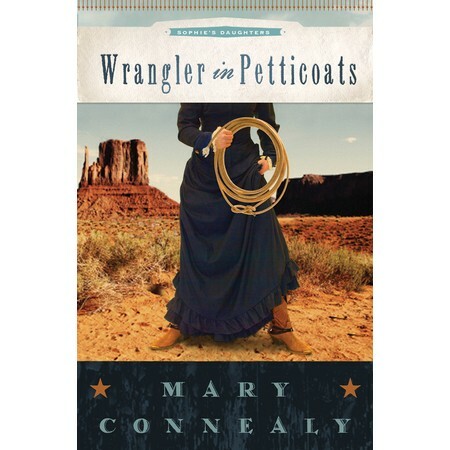 I’ll never understand how she does it, but, folks, Mary Connealy has produced another fun-filled, exciting story in her newest novel, Wrangler in Petticoats. With her last two heroes, she’s done something different – both very unique. They are not the typical rough-n-tumble cowboys Mary’s written about before. In Doctor in Petticoats, we have a insecure hero who can’t seem to do any doctorin’ unless his wife is right by his side. He’s gifted, brilliant even, but almost useless without her, or so it seems. They compliment each other in an amazing way – there is this tangible connection between the two of them. In Wrangler in Petticoats, we have a hero who is an artist. He doesn’t kill one thing in the whole book – except Sally’s desire to be away from him. He’s gentle, but obsessed with the ‘beauty’ of the world around him – to the point of distraction, but when he meets Sally – beauty takes on a whole new meaning. More than merely touching his creative mind, something about her reaches out and ignites his heart. There are several problems with this match, though. #1 – Sally is being hunted by some outlaws. They want her dead. #2 – Sally fell off a cliff and is pretty helpless, which is driving her crazy and might just cause her to kill sweet Logan while he’s glancing at a pack of wolves to paint. #3 – The last thing Sally wants is a man who has trouble choosing between killing a deer for supper or making a charcoal drawing of the deer. What sort of man is that? Sally’s always been tough. Her Daddy’s relied on it, but down deep there is a part of her that wants to be beautiful. Logan sees her beauty, and celebrates it through his artistic gifts, but how can the two of them ever be together – even if they survive the outlaws? Read the book! There is this amazing connection that happens with Logan and Sally, similar to the one in Doctor in Petticoats. Two people who have an inexplicable magnetism. I’m drawn to Logan – in some crazy kind of way, maybe from the way Mary describes his confidence. He’s comfortable in his own skin – sometimes a little too comfortable. Sally has to get him to think outside of his palette and easel. And, though his intensity and distractibility, can be both exhausting and unnerving – it’s completely attractive. See – I’ve always said she is a masterful storyteller. Go, Mary. Can’t wait to see how you rescue poor Mandy. Go, Tom, Go!!! 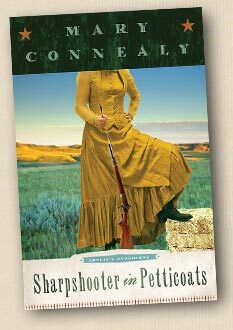 And stop by tomorrow for a chance to WIN Wrangler in Petticoats, and read some clips from Mary’s writing. Wow, Pepper! You sure know how to whet my literary appetite. I’m eager to read these books based on your descriptions. Well done!!! These two are still very ‘Mary Connealy’, but with some twists – especially where the heroes are concerned. I wasn’t sure how she was going to pull of the attraction in book #2 – but she does it so well. What a great review! I’m ready to read Mary’s book right now! Great job! Stop by for a chance to win her book tomorrow!! Wow i cant wait to read the book now more than ever!! All the books look and sound so good! Pick one. You won’t be disappointed. I would love to read this book, it’s been on my wishlist for a while. Make sure you stop by tomorrow to sign for a chance to win. It is SUCH a fun story!! Make sure to leave your name for the drawing tomorrow!! I look forward to discovering the winner of Mary’s book! Thanks and God bless! 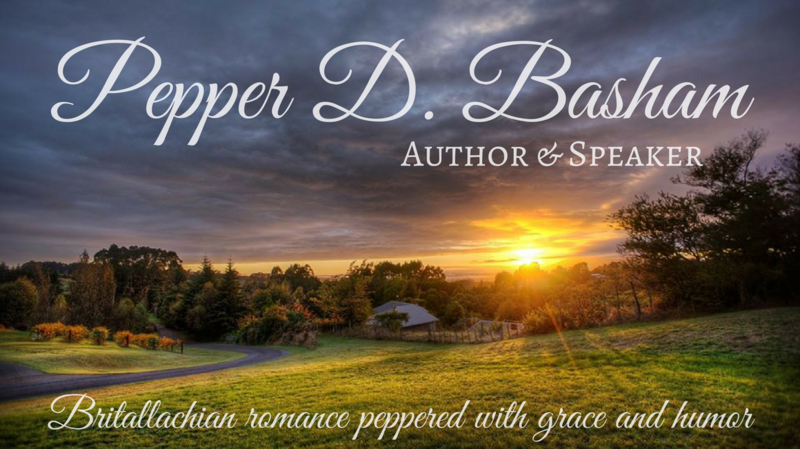 Angie Lippard from Hot Christian Books did a guest review of the same book on my blog. She had a bit of a hard time with the less manly “hero” than is found in most western romances, and I’m not sure I disagree.